The awesome Swedes of Greenleaf should need no introduction for you connoisseurs of Stoner Rock out there, but just to catch everyone up, they're basically a revolving group of heavy musicians who have already made their name with other groups, but always find their way back here for a side project that has taken on a life of it's own since the first release back in 2000. 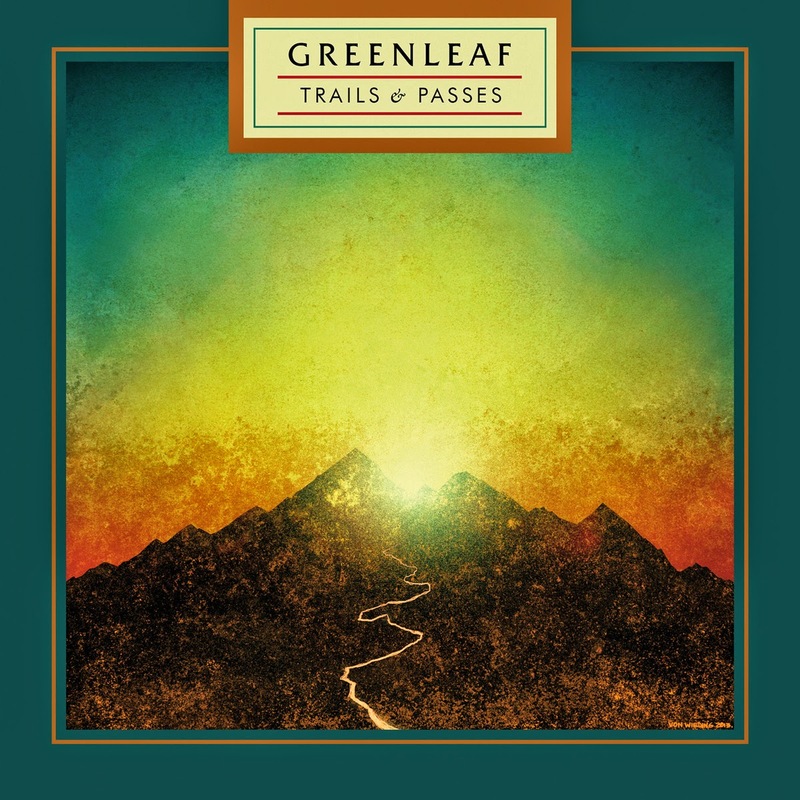 Getting into the list of great musicians who've graced a Greenleaf album would be extensive, but suffice it to say they all came from groups that are loved in the Stoner Rock scene, like Dozer, Lowrider, Demon Cleaner, and The Truckfighters. With a past band resume like that, you already can envision the type of sound they embody, classic Stoner Rock, but always towing a line between that, Alternative, and Psychedelic Rock. The second track on the album, "Ocean Deep" opens up with bashing drum solo that rides for a few seconds until the rest of the group drop in, creating a huge, spacious sound with the guitar tones in an attempt to contain the crushing groove of the track. You can hear the fuzzy bass line plodding along, and the melodic vocals that finish out the mix so excellently. They take the title of the song to heart with this one, with the song being so much like an ocean, having constantly moving currents, the sheer expansiveness of it all. The song never stays on a single path too long, with the brain shattering guitar solo in the second half leaving it never quite the same, and constantly evolving little by little before that. As you get deeper into the album and come to the fourth track, "Depth of the Sun", kicks off with a fairly simple guitar riff, which is joined shortly by a quiet drum part that slow builds and builds, until the floodgates break loose and the whole band kicks it up a notch and starts to jam. The reverb soaked vocals have an airy sound to them this go 'round, just lending the immensity of the track, and even the entire album. When you proceed a little farther down the rabbit hole, you come across the seventh track, "The Drum", and it's got a serious retro vibe to it, 70's Hard Rock at its very finest. Greeted with a swinging riff, and pounding drums, the groove just pummels and you can't keep from moving in time with the track. The vocals aren't quite as airy, but just as huge with a heavier edge, and pick up a really catchy melody for this one. I'm sure this one is going to make all of the year end lists, if not at the top, very close to it, such a solid album all the way through. You can't really expect anything less from such experienced and well versed musicians, but it's best when a band comes through on the high expectations, and not only meet but surpass said expectations. You can head over to the Small Stone Records bandcamp and get in on the Greenleaf action, if you like Stoner Rock, you almost have to.